The effectiveness and fresh approach of our work with the STI Programs Unit of the NSW Government is starting to be recognised. 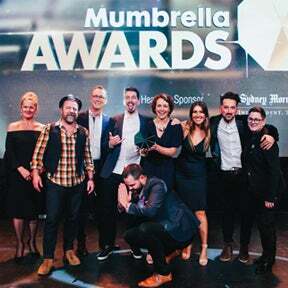 We picked up a gong at the 2018 Mumbrella Awards for it in the ‘Best Use of Face-to-Face/Interaction Marketing Through Events’ category. Yeeew! Read the judge’s comments below.